A beautiful mirror should be in a beautiful frame. The modern market allows you to choose among many options for framing. You can choose the shape, the style, and the physical qualities of the frame. 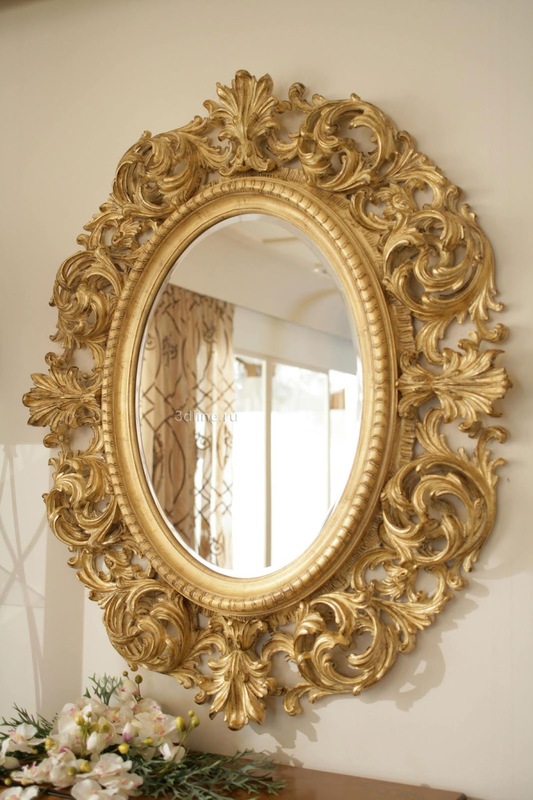 Frames can be wooden, plastic, metal, glass or mirror. Metal frames will fit well into the design in pop-art or hi-tech style. Wooden molding will look beautiful in the rooms where modern style is represented. At the same time, the frame itself should not have an overloaded look. It should combine lightness and simplicity. A good option in this respect is a model with a mirror coating. This material is considered the most useful. First of all, it is due to the fact that wood is natural and do not have chemical admixtures. When your home is full of natural materials, it will create a special atmosphere. You will feel as if in nature. The main advantage of this material is its low price. Also, plastic can be stylized as wood, metal or stone. However, you should not forget, that plastic is a rather fragile material, therefore it will not be able to support a massive mirror. Due to the strength of the metal frames, you can be completely sure that they support even the largest mirrors. Among these molding, matt and glossy are particularly prominent. You can choose one or the other, basing on the interior design. Reflective frame visually expands the boundaries of the mirror, and at the same time perfectly decorates it. Such a frame will look neutral and unobtrusive. It is perfect for small rooms, as it visually expands the space.